Hey everybody! 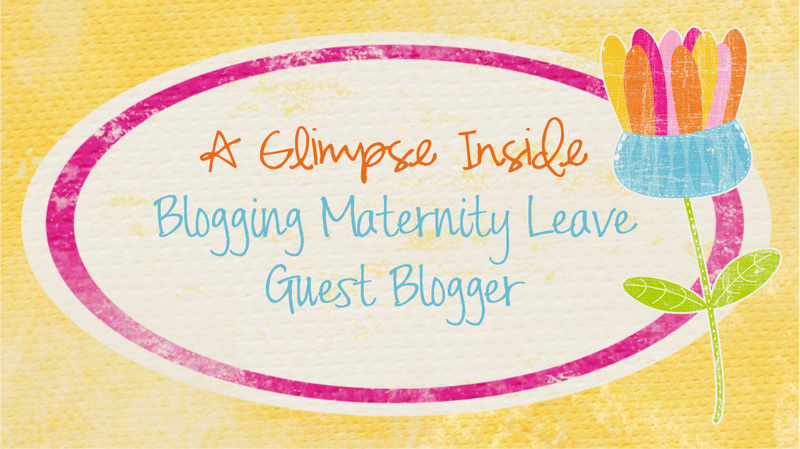 My name is Tonii and I am so excited to be guest posting today!! 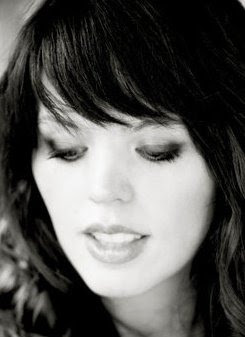 I am a wife to one handsome husband, mother of 4 loud and crazy adorable kiddos, lover of crafting and teaching, and perfect at none of it :) My blog, Blue Skies Ahead, is my way of striving to embrace all the little moments with my family...some good and some NOT so good. I am passionate about a lot of things including Family Home Evening, striving to be a little healthier, a fantastic pair of shoes, teaching and enjoying my children and curling up with a great book. I try every day to not only remind my children, but mostly myself, that I can CHOOSE today to be happy and embrace the life I have been given, and that there are ALWAYS blue skies ahead. 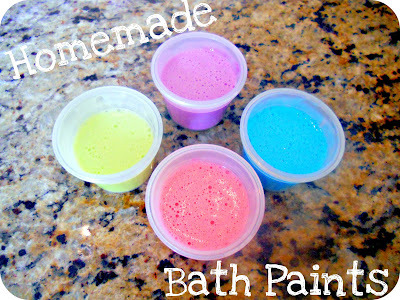 Today I wanted to share something I have made for my kids that they absolutely adore...Bath Paint! It is incredibly easy and will keep your kids entertained for hours :) It is simple, cheap, and your kids will think you are the coolest mom around! 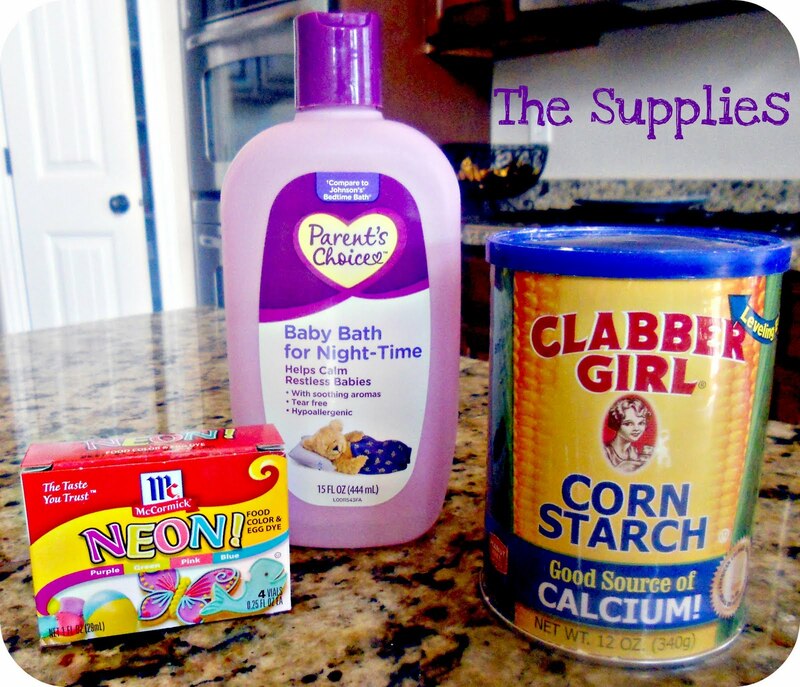 All you need to make this is baby wash, corn starch and a few drops of food coloring! All you do is mix 1 C of body wash, 4 TBSP of corn starch, and one drop of food coloring. Really...just one! A little bit goes a long way, and this way there will be no staining! I put them in some small tupperware containers I had on hand and store them in my kids bathroom. 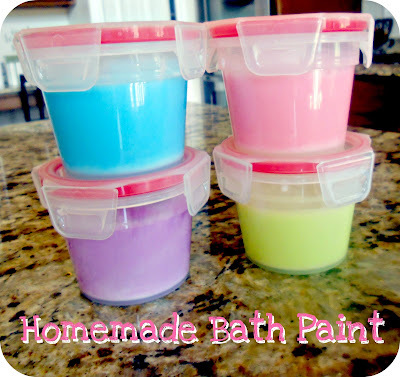 When we want to use them I pull them out, give my kids some paint brushes and they will play for EVER in the tub! My little guy has been sick this week and hasn't been able to go outside and play with his friends...these bath paints have been a total lifesaver! 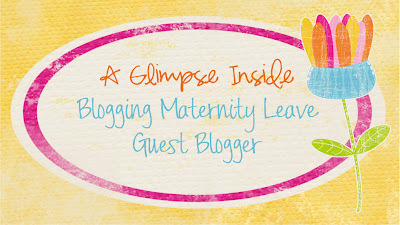 Thank you so much for the opportunity to post on your darling blog Allison...I loved being here! If you liked this fun activity for your kids make sure you come by Blue Skies Ahead. Every week (or at least some weeks ;) we pick a theme at our house to learn about and this week is ALL about the Olympics! Thanks everyone!! Thanks so much for sharing Tonii!